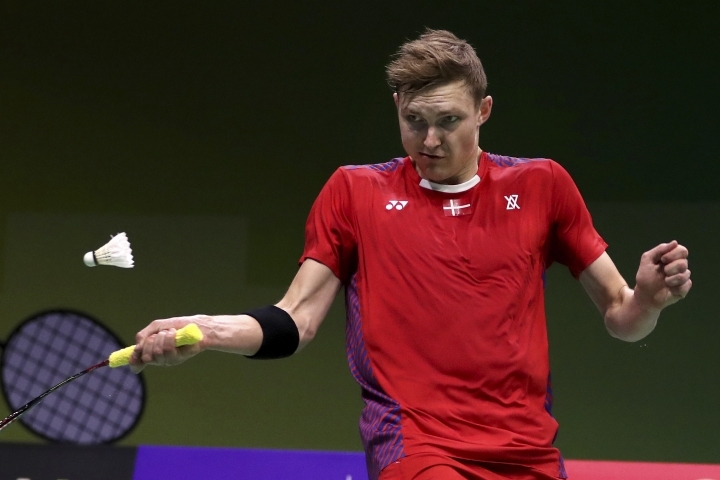 NANJING, China — Defending world champion Viktor Axelsen of Denmark beat Huang Yuxiang 21-17, 21-8 Wednesday to advance to the round of 16 at the badminton world championships. The match was level at 16-16 in the first game before play was suspended for roughly 10 minutes as organizers dealt with water that was dripping onto the court. When play resumed on a different court, Axelsen won five of the next six points to clinch the game. He maintained this momentum into the second game, as he cruised to victory. "When we changed courts, I knew that both the light and wind was different, so I tried to focus on that and came really aggressive. 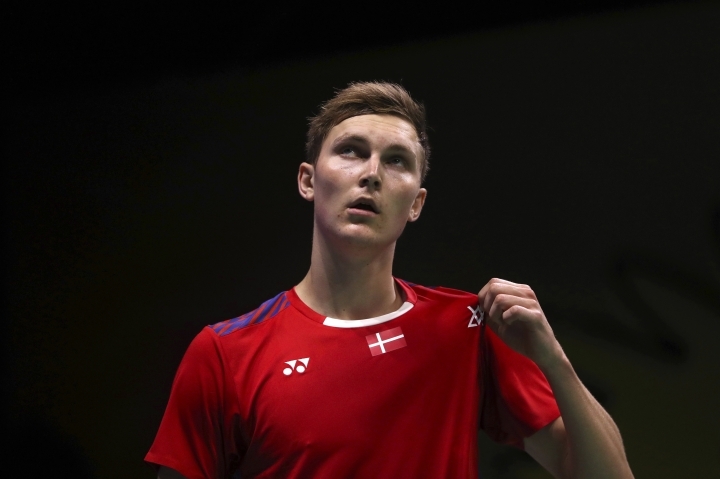 Luckily that paid off in the end," said Axelsen. Two-time world champion Chen Long beat Thailand's Phetpradab Khosit 21-16, 21-11 in a match that lasted 50 minutes. Chen started slowly as Khosit repeatedly attacked the front of the net, but Chen eventually pulled away for the win. "When today's match started, I still needed to adapt myself and mentally prepare myself," said Chen. Chen will next face 14th-seeded Kenta Nishimoto. 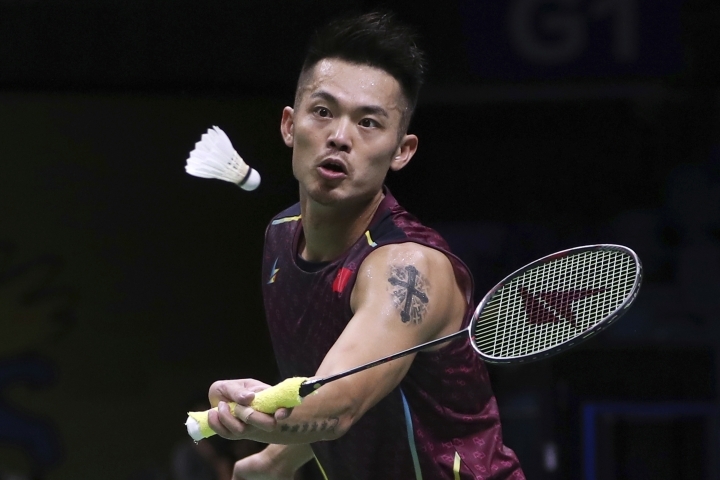 In the final two matches of the night, young Chinese star Shi Yuqi defeated Rajiv Ouseph of England, while five-time world champion Lin Dan beat Sameer Verma of India. Fifth-seeded Kidambi Srikanth beat Pablo Abian of Spain, while No. 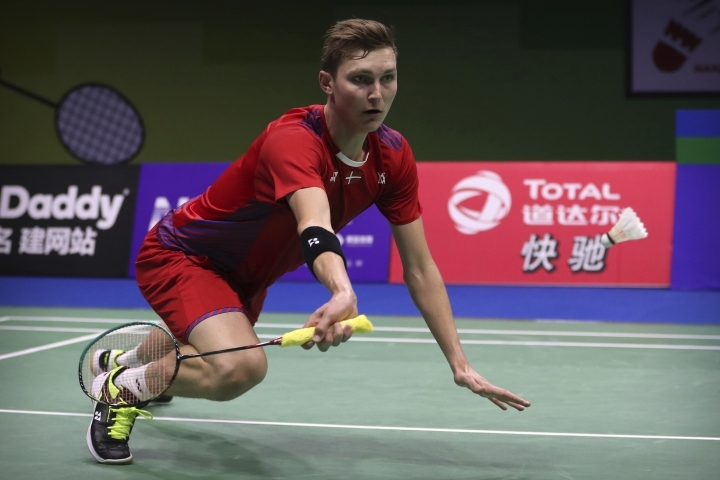 6 seed Kento Momota continued to shine in his 21-8, 21-10 victory over Austria's Luka Wraber. Momota will play Anders Antonsen of Denmark in the round of 16. In women's singles, China's top-ranked shuttler Chen Yufei edged Gregoria Tunjung of Indonesia 21-17, 22-20 in a closely contested match. "The opponent and I seemed to be equally competent. We reached a stalemate during the first half of the match, then we both played harder in the second half," Chen said. Chen will next face Goh Jin Wei of Malaysia, who upset No. 14 seed Aya Ohori of Japan. 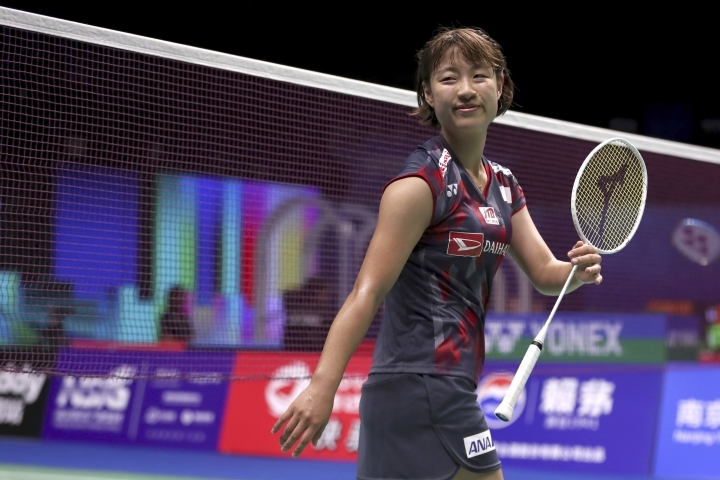 Second-seeded Akane Yamaguchi and Nitchaon Jindapol also advanced. Defending world champion Nozomi Okuhara of Japan defeated Canada's Rachel Honderich 21-11, 21-9. 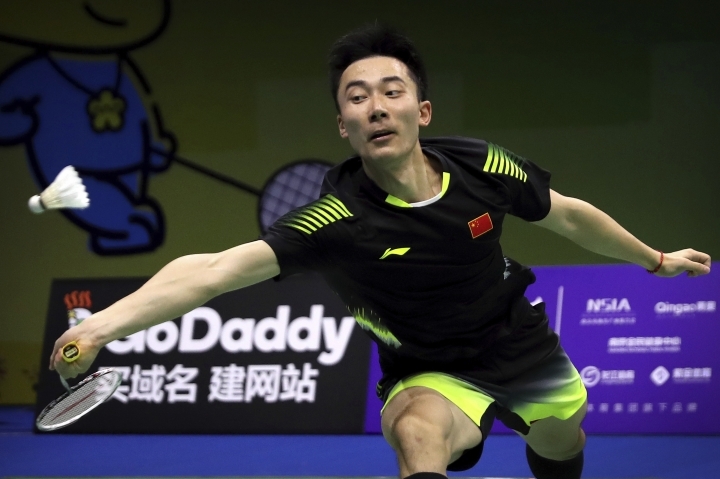 In men's doubles, top-seeded Indonesians Marcus Gideon and Kevin Sukamuljo advanced with a win over Han Chengkai and Zhou Haodong of China. They will face 10th-seeded Vladamir Ivanov and Ivan Sozonov in the next round. In women's doubles, top-seeded Chen Qingchen and Jia Yifan defeated Ekaterina Bolotova and Alina Davletova 21-13, 21-14. The win sets up a clash with fellow countrywomen Du Yue and Li Yinhui.